The Wolverhampton Wanderers backline are in demand following their fourth clean sheet in five Premier League matches at the weekend. 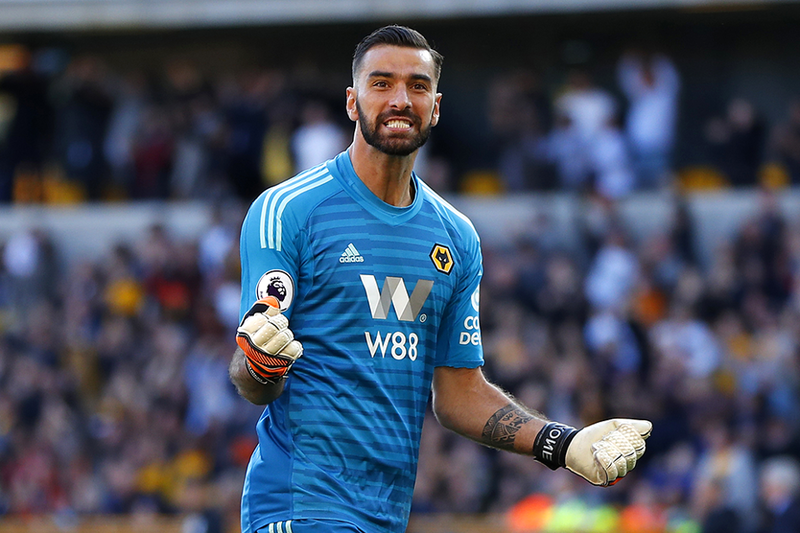 Wolves players now have three of the top eight highest-scoring defenders in FPL while Rui Patricio (£4.6m) is second only to Manchester City's Ederson (5.7m) in the goalkeeper standings. How much should you invest in Wolves' defence? The FPL experts have their say. Ben Crabtree (@FC_CrabDogg): Matt Doherty (£4.7m) has been fantastic for me and I'm looking to partner him with Patricio to take further advantage of the Wolves defence. Benjamin Mendy (£6.2m) is another player who is highly desirable but I reckon that transferring out Kieran Trippier (£6.2m) for him could be a mistake. Sam Bonfield (@FPLFamily): I already own Bennett but the temptation to swap him for Doherty is massive. I feel that a Wolves defender is essential, not only because of their results but also as they enable you to save cash to buy big-hitters such as Mendy, Trippier or Marcos Alonso (£6.9m). Holly Shand (@FFCommunity): Wolves have some tough fixtures coming up from Gameweek 11 but, at such a low cost, can still make excellent bench options. I expect Manchester City, Chelsea and Liverpool to keep the most clean sheets over the next few Gameweeks and will look to Aymeric Laporte (£5.7m), Alonso and Robertson. Paul Gee: Alonso and Robertson or Trent Alexander-Arnold (£5.2m) all have the form and strong upcoming fixtures to flourish. Pablo Zabaleta (£4.3m) is another full-back whom I will be monitoring when his fixtures turn better in Gameweek 11. Simon March (@MarchSimon): I still prefer Robertson, Mendy and Alonso as the best premium options. As the upcoming fixtures start to change, I'm hoping that some cheaper options emerge from Leicester City, Brighton & Hove Albion and Newcastle United. Mark McGettigan (@FPLGeneral): Patricio and Bennett are already in my squad, so I am reluctant to triple up on the Wolves defence. I plan to hold on to Trippier, Alonso and Aaron Wan Bissaka (£4.3m) and bring in Robertson for the suspended Jose Holebas (£4.9m).